Founded in 1982, the auction room Subarna born from the outset with the firm vocation to manage the sale of objects and works of art by public auction. It counts with a team of experts with proven experience, art historians that are available to study and expertizar their possessions, proposing the possibility of confidential and free appraisals. Furthermore, knowledge can offer buyers the maximum guarantees of what they buy. As a result, through our living they have been sold numerous works that have become part of important national and international collections and museums and public institutions such as the d'Art de Catalunya Museu Nacional. 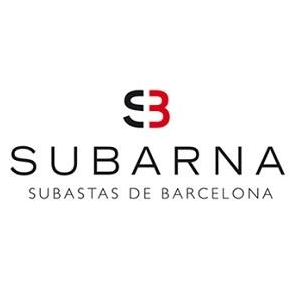 Faced with the challenge of adapting to changing times without forgetting the needs of its customers, Subarna has taken a leading insight into the art market, which combines personal attention with the most innovative resources for the best selling products . That is why since 2018 began its current phase, marked by the presence of a renewed direction but with extensive experience in the sector.